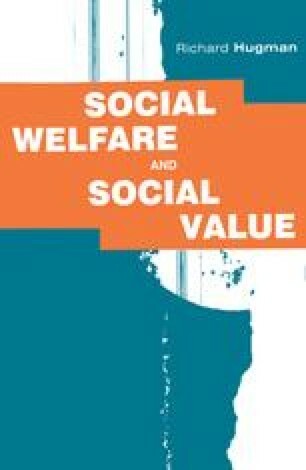 In the previous chapter the concepts of need, citizenship and responsibility were examined as the basis for defining the scope and purpose of social welfare. In this chapter the discussion focuses on the more detailed area of the caring professions which have come to be the primary source of social welfare in practice. In particular, this chapter examines that dimension of ‘values talk’, which is so often seen as a key feature of the professions, namely their occupational values or ethics. We are concerned here with questions of how professional values are constructed, what these are, and how they relate to the overall objectives of social welfare policy. Moreover, such questions lead to an examination of the role which caring professions play in the establishment of such objectives and so to questioning the nature of the caring professions themselves.